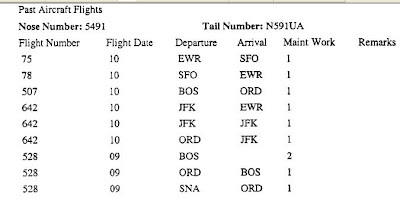 If United and the FAA were tracking different flights, did they agree that each of their respective Flight 93s had originated at Newark airport? Were they unable to track these flights by radar after a certain point? And if so, what was the location on the flight path of each Flight 93 when it was lost to radar? Did they--as a result of actually having been tracking different flights--reach different conclusions re where Flight 93 wound up? rm on Sun, 02/28/2010 - 6:01am. Q) "If United and the FAA were tracking different flights, did they agree that each of their respective Flight 93s had originated at Newark airport?" A) The true official flight of UA 93 (whit the code N591UA, in contact with UAL) certainly took off from EWR. Q) "Were they unable to track these flights by radar after a certain point? " A) UAL don't have a radar. Physically, don't trace nothing. UAL (the company) is in contact "direct physical" with it's aircraft through the "ACARS". The FAA have the radar and follows the "blip" on the screens. And as the story say, at one point turning off the transponder. The FAA lost also that 'blip'. Q ) "And if so, what was the location on the flight path of each Flight 93 when it was lost to radar? " A) AA lost radar contact with "UA93" (where and when, as says the Official version). UAL has quietly continued to be in "physical contact" (messages sent and received from the physical plane) with UA 93 (N591UA), until 10:10. Only the FAA track with radar. But the plane that the FAA was tracking on radar, can not be the same (or at least not from a certain point (and forward), Cleveland) Only the FAA track with radar. But the plane that the FAA was tracking on radar, can not be the same (or at least not from a certain point and forward, Cleveland) with which the ACARS system has continued to communicate physically, And from RGS, well out than where was the "UA93", followed by the FAA. Q ) "Did they--as a result of actually having been tracking different flights--reach different conclusions re where Flight 93 wound up?" A) The conclusions, as is right, were do by 9/11 Commission, FBI and the NTSB. UAL has no "voice" on that. schottolo on Sun, 02/28/2010 - 5:50pm. "A) UAL don't have a radar. Physically, don't trace nothing. UAL (the company) is in contact "direct physical" with it's aircraft through the "ACARS". The FAA have the radar and follows the "blip" on the screens. And as the story say, at one point turning off the transponder. The FAA lost also that 'blip'." UAL did have radar on 9/11. Sophisticated radar. It was built for them by United Visual in 1997-8. I really wish people would read my articles! This is very distressing. Also, when secondary radar is deactivated, the FAA (and UAL on 9/11) don't lose radar contact with aircraft. They can still track aircraft via primary radar. As UAL Aircraft Router Dave Rogoski stated in 1999 about UAL's Special Operations Center, "We get a good idea where an airplane is, how it's being affected by the natural elements and how it fits into the air traffic control picture." On September 11, 2001 UAL was getting feeds from ATC radar. However, I agree with the second part of your answer to rm: Radar has noting to do with this situation. brian78046 on Sun, 02/28/2010 - 10:31pm. schottolo on Sun, 02/28/2010 - 5:44pm. Is VHF Transmission Of Champaign Messages Confirmed? The alleged hijackers were apparently not responding to ACARS traffic after the takeover of UA 93. Is it possible that protocols resulted in SATCOM transmission of later ACARS traffic after earlier VHF ACARS communication failures? Aidan Monaghan on Sun, 02/28/2010 - 6:59pm. thanks for the document you linked. It is quite interesting. and needed to make the case study complete. yes, that was known. ACARS uses VHF over landmasses, and when and if VHF connectivity fails, automatically the system switch to SATCOM. But, this is not the case of UA93. there is no code in the log that say "hallo! this is satcom!!!". just the RGS code Toledo, Fort Wayne, Champaign. Those messages ( it's uncorrect just to look only at the last one ) shows no differences in between the previous one ( Cleveland, for example ). no sign of SATCOM. More, nor Winter nor Knerr say nothing about SATCOM. More, if you look well at the logs, you'll see that each log has time stamped two times ( one up, the other down by the end of the message ). Mostly, the two time are the same. but for few of them, these times show 1 minute difference. Id Est: these are the timestamp of "sent" and "received"
GES ( satellite ground earth station ). in the UAL ACARS log, we just have RGS ( radio ground stations ). so, for UA93 it is untrue the use of satcom. at page 53, it is plainly explained the differences between RGS and GES. and Winter never say a word about GES. from the log he officially recognizes ground stations were RGS. so, again, no VHF failure. bambooboy on Sun, 02/28/2010 - 9:14pm. this is the aircraft that landed at Cleveland airport around the time Flight 11 crashed into the north tower. We have two Flight 93s in the sky, but when UAL sends a message to its aircraft in the sky, that message goes to the real Flight 93, not the fake Flight 93 that crashed. I told you guys years ago that Flight 93 landed at Cleveland airport, and the reasons why it landed there, but no one took the time to analyze my article on the subject. By the way, and off topic, I was watching Russia Today (RT) tonight and last week and came across some interesting facts. The president of the Russian commission looking into child abuse has an interesting history. Guess where he studied in the 1980s? The KGB School for Officers. Tonight I learned on RT that the British paper The Independent is going to be bought for one pound by Russian billionaire Alexander Lebedev. Guess who he was at one time? That's right, a KGB officer. Of course, we all know that Prime Minister Putin is also "former" KGB. Folks, are you beginning to see what is going on in the "former" USSR? Or do you need to actually see Red Chinese troops cross the Mexican border before you realize what's going on? The reason I'm telling you this is because I want you to know what you're really up against here. 9/11 Truth can be seen by some as a threat to national security, so be careful with your association with the Peace Movement., and DON'T make any threatening remarks about abolishing the intelligence community. Now that doesn't mean you can't do battle right now with the nefarious parts of the intelligence community. For those of you who use Cocaine and other hard drugs, STOP! Your use fuels not only false-flag terrorism, but in 1998 led to14,088 drug related homicides (Drug-related homicides are those murders that occurred specifically during a narcotics felony, such as drug trafficking or manufacturing.). That's nearly five times the number of people who died on 9/11. So you might want to look at your own behavior first before you pontificate to the government about 9/11 crimes. What is my opinion on how we should behave towards the USSR and China? I have a novel idea not attempted in the history of man. How about a tempered Christian response, where truth is spoken. Unfortunately there are very few Christians in existence, and if the truth of what is really going on in Russia was revealed, I believe the political result would be war. Interestingly enough, because lies are being told about the USSR, that is why al Qaeda was created....to give us a false enemy for the real enemy we still have. As a result 3,000 died on 9/11, and well over one million have died in Iraq and Afghanistan. It's a classic dilemma: War or war. brian78046 on Tue, 03/02/2010 - 1:21am. "Messages #18 and #19 were sent to the aircraft from CHIDD using the RGS near Champaign, IL CMI as designated in the line "AN N591UA/GL CMI...". Both messages were sent to the printer and Message #19 also activated an audible signal in the aircraft." "Messages #20 to #24 were sent to the aircraft from CHIDD. However, all of the messages were rejected indicating the aircraft did not received them." Woody Box on Tue, 03/02/2010 - 1:16pm. This study seems to me important, but the English is so poor that it makes for a challenging read. I wish someone would work with the author (whose native tongue is what? Italian?) to compose a clear and readable text. The study concludes, as in the description on 911Blogger, that "UAL and FAA were tracking two different planes...flying at different times and at different coordinates, but both officially identified as UA 93." The author gives credit to the researcher "Woody Box" but has attempted to verify information by going to the sources. Central to the study is the evidence that there was a "UA 93" still receiving transmissions as late as 10:10 a.m. The author further argues that this plane was not, in any case, at Shanksville at that time . Having stuggled through the study only once at this point, this is all I can say. 911SATYA on Sun, 02/28/2010 - 1:39pm. yes, my native language is italian. will someone be so kind to rewrite in a better spoken version? or help me in doing that? I do hope it so! It would be great! Q ) - "If United and the FAA were tracking different flights, did they agree that each of their respective Flight 93s had originated at Newark airport?" Q ) - "Were they unable to track these flights by radar after a certain point? " A ) - FAA 'has' radars. FAA see "blips". Q ) - "And if so, what was the location on the flight path of each Flight 93 when it was lost to radar? " A ) - FAA lost contact ( how, when, where as the 9/11Commission said). UAL not. FAA trace a flight path, UAL (officially) don't. 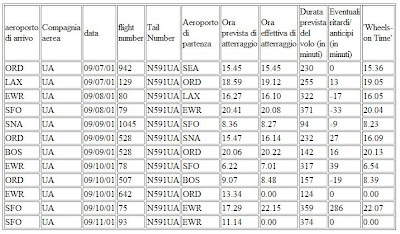 UAL ACARS logs show that till 10:10 messages UAL dispatchers sent to N591UA, were physically received by the aircraft; and also show that the RGS ( Radio Ground Stations ) in contact with N591UA were the one of Toledo, Fort Wayne and Champaign ( the last 3 ). So UAL do not trace a flight path, but knowing which RGS were in contact with the plane, allow to have a rough idea of a flight path. Q ) - "Did they--as a result of actually having been tracking different flights--reach different conclusions re where Flight 93 wound up?" A ) - Conclusions have been wrote by the Commission, by the FBI, by the NTSB. it was their job. Investigate and write conclusions. Also Commander Colonel MARR, as you can read in this other official document, has something to say ( not about ACARS), on the fact N591UA was not where the Commision told us it was. In that paper, Marr says that "his focus was on UA 93, which was circling over Chicago"
http://info911insidejob.blogspot.com/2010/02/un-altro-documento-ufficial... , TOLEDO RGS (and FORT WAYNE RGS too), could easily have managed messages - as the ACARS logs show - to the same ua93 Marr was concerned about. bambooboy on Sun, 02/28/2010 - 2:59pm. To simplify, Flight 93 is sending mechanical messages to the ground and positively received one message from the ground at 10:11, after it has crashed at 10:03! See Case Study pages 29-35. For the particular message (#19) that caused Flight 93 to produce an audible signal, indicating the message was received, go to pages 29 and 34.
brian78046 on Sun, 02/28/2010 - 8:53pm. The first article I wrote at www.DNotice.org back in May 2008 was on Flight 93 landing at Cleveland around the time Flight 11 impacted the North Tower (as usual, 9/11 Blogger placed that article into the Blogger section, just as they did with my current shocking article on NORAD, Popular Mechanics magazine and The 9/11 Commission Report). In the article on Flight 93 I explained how United Airlines was capable of tracking as of 1998, in real time, every aircraft they had in the air all over the world. Again DNotice.org is way ahead of the research curve! 2. it is hearsay testimony; it can't be verified by me (though my source is always correct). Now as it happened Delta Flight 1989, a 767 out of Boston (Flight 93 was a 757) had landed at Cleveland Hopkins Airport at 10:10 AM3 due to a bomb threat and had been moved to a secure area of the airport, however this aircraft hadn’t been evacuated until 12:30 PM, forty-three minutes after WCPO posted the AP article. In the fourth paragraph AP reports, "United said it was also "deeply concerned" about another flight, Flight 175, a Boeing 767, which was bound from Boston to Los Angeles. "4 This paragraph tells us that AP was talking to UA about Flight 93 while UA was operating under the knowledge that Flight 175 was still in the air. Why? Because UA would have been tracking Flight 1755 throughout it’s journey and immediately known through UA's Special Operations Center (see next three paragraphs) that it had crashed when it did at 9:03 AM in New York City. In times when problems arise, managers at UA can use the Special Operations Center, located at UA's operations base in Elk Grove, Illinois, where they, "can use the a/v system to watch any flight from its takeoff to touchdown.They can have constant contact with that plane in the air, and they can watch anything that may be affecting the plane's environment as it travels. "6 Therefore when UA says a flight experiencing an emergency situation has landed at a specified location, UA knows it has landed and where. During such emergency situations, the Special Operations Center—also known informally as the crisis management room—was where "the appropriate personnel take their positions. These include the president and CEO of United Airlines, vice-presidents of most of its departments and whatever outsiders might be able to help. The room's computer and communications systems have a reach of global proportions..."7 So not only would UA managers know the exact location of Flight 93 at any time of the day, but so would the CEO and other executive officers of the company during an emergency. Moreover, the company that installed UA's tracking computers in 1998—United Visual—also installed in each airline manager's workstation, to the left of the aircraft-tracking monitor, six TV monitors for 24/7 satellite cable news viewing.8 So when an aircraft impacted the south tower at 9:03 AM, at the precise time that Flight 175 disappeared from UA’s tracking monitors over New York City, UA's airline managers saw the impact, as did those of us who were watching television that morning. Immediately UA airline managers would have put two and two together, and known that the aircraft they just saw on satellite television news fly into the south tower was, in fact, their aircraft that had just disappeared from their aircraft-tracking monitors at the same time, at the same altitude (the aircraft’s transponder reporting a rapid decelerating from approximately 540 mph to near 0 mph in less than a second) and over the same precise location. Consequently the AP article would not have been a story that focused on a diverted aircraft, with a passing mention of another aircraft that UA was "deeply concerned" about, but instead a story where the spotlight would have been thrown full blast on the crash of Flight 175 over New York City (and a mention of the earlier crash into the north tower), after a short initial account of Flight 93's landing at Cleveland Hopkins Airport. Since AP doesn’t mention the crash of a second aircraft in the article (and tentatively identify the aircraft as UA Flight 1759 according to FAA and UA sources) that proves that AP got the UA quotes before 9:03 AM.10 Why before 9:03 AM? Because as discussed above United Airlines would have been tracking Flight 175 throughout it’s journey and instantly known through UA's Special Operations Center that it had crashed when it did at 9:03 AM over New York City. Interestingly, minutes after the AP article was posted at WCPO it was retracted with the following message as to why, "This story has been removed from WCPO.com. It was a preliminary AP story, and was factually incorrect. "14 No reason was given by WCPO as to why the article was "factually incorrect", however based on the article itself we can hypothesize where the "factually incorrect" came into place: To speed things up on that busy morning, the AP reporter took the spiked Flight 93 story he wrote-up earlier in the morning and copied and pasted it onto another word processing file for reediting to confirm with the Delta 1989 landing that took place at 10:10 AM. Since the first two paragraphs would remain the same, except for two minor revisions in the first paragraph (767 for 757 and Boston Airport for Newark Airport) and the deletion of the word ‘evacuated’ in the second paragraph, the reporter then would only have to update the remainder of the article with the Delta 1989 landing. However the reporter must have gotten distracted in the chaos of that morning and neglected to 1. Delete the word ‘evacuated’ in the second paragraph, and 2. Replace the last four paragraphs that specifically mentioned Flight 93, UA and its CEO with the story of Delta 1989’s landing! We can now begin to understand the true reason for Delta 1989's landing at Cleveland Airport. Delta 1989 was landed at Cleveland Airport because of the media's error in releasing the story of Flight 93's landing there. The Delta 1989 landing could then be used to explain away as an error the report that Flight 93 had landed at Cleveland Airport, an error due to a misidentification of one flight for the other. So what happened to Flight 93? Thanks to the AP article we can say that Flight 93 took off from Newark Airport as scheduled at 8:00 AM (or close to it), and not at 8:42 AM as the official Flight 93 narrative claims, and landed safely at Cleveland Hopkins Airport no later than 8:48 AM. Why no later than 8:48 AM you ask? Because thanks to UA admitting it was also "deeply concerned" about Flight 175, we know that AP got the story by 9:03 AM, and it would have taken at least fifteen minutes for Flight 93 to have been, as mentioned by Mayor White, moved to a secure area of the airport and evacuated before UA and its CEO could have made their particular comments as reported by AP. Further proof that UA and its CEO gave their interview to AP no later than 8:48 AM is the curious omission in the AP article of any mention of aircraft impacting the towers. Since Delta 1989 landed at Cleveland Airport at 10:10 AM EDT in the morning, one would expect some mention of these two disasters, which occurred at 8:46 AM EDT (Flight 11) and 9:03 AM EDT (Flight 175). 5.It should be noted that according to the 9/11 Commission Report, while "United 175’s transponder code changed, and then changed again" the transponder signal was never lost (see: 9/11 Commission Report, page 21). 10.If the AP reporter had contacted United Airlines after 9:03 AM, the AP article would not have been a story on Flight 93 landing at Cleveland Hopkins Airport, but instead a story on Flight 175 crashing into the south tower. brian78046 on Sun, 02/28/2010 - 5:44pm. ACARS tell and show N591UA was still flying at 10:10. near by Champaign, Illinois. They do no way show anything that may anyone think that it landed at Cleveland. bambooboy on Sun, 02/28/2010 - 3:03pm. Where is Flight 93 ACARS Data For 8:45am? PLEASE read my article again! I didn't say Flight 93 landed at Cleveland Airport sometime after 10:00. I said it landed at Cleveland Airport right around (and probably before) Flight 11 impacted the north tower at 8:46, which means (according to your ACARS study) it took off again. Now I commend you on the ACARS study. It's another important piece of information that blows the official account of Flight 93. By the way, I am not saying I think Flight 93 landed at Cleveland Airport around 8:45, I'm telling you it did! Anything to the contrary is false, as is the official narrative that Flight 93 crashed at Shanksville. brian78046 on Tue, 03/02/2010 - 1:45am. You'll notice that the wheels-off time of UA 93 is 8:23. This is the moment when the aircraft lifts off the runway. The time is automatically generated by a switcher (I think in the landing gear) and transferred to the airline (United in this case) via ACARS. Interestingly, the official wheels-off time is 8:14, indicating that there was a duplicated UA 93 from start. I don't see that UA 93 was able to land in Cleveland at 8:45 if it departed from Newark at 8:23. I have to disagree with you in this point. Woody Box on Tue, 03/02/2010 - 1:34pm. We Just Broke The Case On Flight 93! we've done it! Flight 93 officially did not begin to taxi for departure until 8:42. That means you and I have just blown away the official narrative of Flight 93! Congratulations to you (and me!)! I guess you forgot all about the official time Flight 93 began its departure (8:42) when you found Flight 93's ACARS wheels-off data for 8:23. You said, "Interestingly, the official wheels-off time is 8:14, indicating that there was a duplicated UA 93 from start." That means I would have to revise backwards my Flight 93 landing-time at Cleveland Airport. Woody Box, this calls for another article. Also, how about doing some more damage to the official 9/11 narrative? What are the ACARS data for wheels-off for Flights 11, 175 and 77? How do those times compare with the official departure times of 7:59 for Flight 11; 8:14 for Flight 175; and 8:20 for Flight 77? brian78046 on Tue, 03/02/2010 - 2:43pm. I mixed up the wheels-off data for Flight 175 and Flight 93. Flight 93 has the official wheels-off time 8:42, but according to ACARS, it lifted off at 8:28. Flight 175 has the official wheels-off time 8:14, but according to ACARS, it lifted off at 8:23. Woody Box on Tue, 03/02/2010 - 4:38pm. the official take-off time isn't wheels-off time, it's departure time. Departure time is when an aircraft leaves the terminal, so one would have to add more minutes to the official wheels-off time. This makes your research even more damning to the official narrative of Flight 93. I would like to know what was the ACARS data for the second Flight 93? You say, "Flight 175 has the official wheels-off time 8:14, but according to ACARS, it lifted off at 8:23." You meant to say "official departure time". That means Flight 77 took 9 minutes from departing the terminal to wheels-off. That looks to be correct. Now for Flight 93, we would have to add at least five minutes to the 8:42 departure time to get the "official" wheels-off time. That would be 8:47. That means there is, at least, a 24 minute discrepancy between the official wheels-off time and the ACARS wheels-of time for Flight 93. Are there ACARS data for Flights 11, 175 and 77 after their reported crash times? Also, any discrepancies in departure/ACARS wheels-off data for Flights 11 and 77? Fantastic work! I haven't been so excited in a long time! brian78046 on Tue, 03/02/2010 - 9:40pm. If the Associated Press reporter had called UAL at or after 9:03 (Flight 175 impacted the south tower at 9:03), then the AP article would have included a mention of that crash. It didn't, which proves that the AP reporter was talking to UAL BEFORE 9:03 about Flight 93. Well, Flight 93 was only known to have had a problem at 9:28, which proves that a UAL flight landed at Cleveland Hopkins Airport that was to be designated Flight 93 in case something went wrong with the primary Flight 93 at Newark Airport. Remember, my source said that Flight 93 landed under another flight number at Cleveland Hopkins Airport, which means that that flight was the standby Flight 93 in case the primary Flight 93 at Newark Airport didn't make it off the ground, due to a mechanical failure, sick passenger/disruptive passenger, or a flight delay caused by other aircraft that were delayed. Last year I commented here on 9/11 Blogger that I believed that Flights 11, 175, 77 and 93 took off from military airfields because military airfields could control for unforeseen complications as discussed above. However, using standby aircraft would do the job just as well. For example, if Flight 77 couldn't take off from Dulles Airport, then the standby aircraft at another airport would take its place. When you think about it, the planners of the 9/11 attacks would have had to have employed standby aircraft at different airports just in case the aircraft at the primary airport couldn't take off. This solves the quandary of a second Flight 93 and the landing of the standby Flight 93 at Cleveland Hopkins Airport. brian78046 on Wed, 03/03/2010 - 2:59pm. But please, read the CASE STUDY. It is enterely base only on official documentation ( mostly FBI ). if someone wants to rewrite ( in better english ) this CASE STUDY... he's Weeeelcomeeee! with or without my help. it is not a problem. Q) if United and the FAA were tracking different flights, did they agree that each of their respective Flight 93s had originated at Newark airport? A) the real UA 93 N591UA surely took off from EWR. Q)Were they unable to track these flights by radar after a certain point? A) FAA "has" radars. FAA see "blips". UAL no. UAL is in direct contatc with aircrafts thanks to the radio instant messaging system called ACARS. To send/receive info, the ACARS system rely on RGS ( Radio Ground Station ) all over landmasses. Each RGS have a maximum connectivity range with aircrafts of about 200 miles ( if aircraft are flying at HIGH ALTITUDES ). The ACARS logs, are evidences that the last RGS sending messages to N591UA, were the ones of TOLEDO, FORT WAYNE and CHAMPAIGN. ACARS logs are evidence those messages were sent AND received. and they are timestamped too! Q) And if so, what was the location on the flight path of each Flight 93 when it was lost to radar? Q ) Did they--as a result of actually having been tracking different flights--reach different conclusions re where Flight 93 wound up? Q ) "my source independently confirmed to me that Flight 93 did land in Cleveland"
the last sent AND received ACARS message to UA 93 N591UA, is timestamped 10:10, and it has been sent by the RGS of Champaign, Illinois. Official original ACARS log, do not support the "idea" that N591UA landed at Cleveland. No way! bambooboy on Sun, 02/28/2010 - 3:30pm. brian78046 on Tue, 03/02/2010 - 1:42am. that not happen on UA93. 3) the ground bases acronym in the log is the ones of Toledo RGS, Fort Wayne RGS and Champaign RGS. It does not list any GES. 4) the log do not show any VHF failure. In fact, all the message have a consecutive incremented UBI number, and all log have a positive ACK. it's clearly said that, with an uplink message ( the one we have in Ballinger's log ) only 3 thing may happen. "the ACARS MU shall provide a positive acknowledgement to each valid uplink"
So, till now, the only thing we can say for sure is that UA 93 N591UA was still flying at 10:10, nearby Champaign illinois. All the rest is pure speculatin..
bambooboy on Mon, 03/01/2010 - 10:19am. across the country to begin its attack." Anyone even want try to attempt to explain this one???? Now which plane would this be? A swap plane? A blip insert? It certainly isn't the official UAL 93 plane because it doesn't enter Chicago airspace. Visit http://dotheordersstillstand.blogspot.com/ for analysis and commentary on 9/11. Swingdangler on Mon, 03/01/2010 - 2:53pm. it perfectly fits with what the ACARS say. MARR is not "connected" to ACARS, but he speaks from a radar data someone told him. "circling over" does not mean exactly over Chicago. Then: if you look at the ACARS, you will see that some message swere run by RADIO GROUND STATION near by Chicago ( Toledo and Fort Wayne ). in the post I linked, you can see images of VHF ACARS radio range..
bambooboy on Mon, 03/01/2010 - 7:56pm. Aidan, thx for the paper you linked, but, sry, you are wrong about the possibility VHF lost contact. If so, the communication automatically would have been run by the SATCOM. Winter and Knerr, never say a thing about GES. They do say RGS! this perfectly fit with what the ACARS say. MARR say: "circling over", but Marr do not have access to ACARS. He speaks from data froma radar 8 dunno which one ). But "circling over" does not mean exactly over Chicago. If it was only "near by Chicago", well, we have the Ballinger ACARS message that show that some of them were run by the RGS of Toledo and Fort Wayne, that are really near by ( with 200 miles range cover ). bambooboy on Mon, 03/01/2010 - 8:03pm. "I said it landed at Cleveland Airport right around (and probably before) Flight 11 impacted the north tower at 8:46, which means (according to your ACARS study) it took off again." but this cant be possible. Both this docs are correctly conneted to the aircraft thru the UNIQUE ID code needed to log in, in the ACARS communication system: N591UA. There are also all the documents of the "interviews" of the UAL personnel at EWR to confirm that ( look on scribd... and.... thx again, HistoryCommons guys! ). so, it's no way possible UA93 ( the real official one ) could have landed at Hopkins International at 8:46.
no way, man.. no way. it can't be. "everyone is entiteled to his own opinions, nut no one is entiteled to his own facts". and anyway, topic is on UA 93 ACARS message ( time and places ), and your reply was, imho, OT. bambooboy on Tue, 03/02/2010 - 2:25am. We already know that the official departure time for Flight 93 of 8:42 from Newark Airport is a lie. You have ACARS data that affirms that Flight 93's wheels lost contact with Newark tarmac at 8:23, not after 8:42. So, since when does the 9/11 Truth Movement take the official narrative of UAL/FAA personnel interviews at Newark Airport concerning Flight 93 at face value? I know I don't. You say, "Ballinger s Logs presents Cleveland RGS only at 09:36 and 09:41 am." That's fine, but doesn't rule out an earlier landing at Cleveland Airport, after which Flight 93 took off again after disembarking the passengers due to the bomb threat. We need more ACARS data spanning the time frame of 8:23 to 9:36. If that data is missing, then that should make you suspicious as to why. I would also like to know what was the ACARS data for the second Flight 93? Anyway, I don't want the above to detract from your amazing research. This debate we're having is secondary in importance. brian78046 on Tue, 03/02/2010 - 5:24pm. I did read your paper. I was just wondering where in the time line of things that UAL is circling over Chicago in relation to the ACARS messages. I don't think he would have said Chicago if it were turning around over Cleveland. I couldn't tell by the informal layout of the memo when exactly this observation took place. Bam is there anyway you could plot out on a map or something the entire scenario you think happened based upon the ACARS and other data? And what plane do you think this is?? Swingdangler on Tue, 03/02/2010 - 8:02am. 1°) I do not care that much about what Marr said ( his words are not strictly related to what ACARS shows ). I mean, the CASE STUDY only relies upon FBI, NTSB, and UAL documents. The 'news' about Marr comes out later. 2°) as I said, I do not care that much about that memo (not only because it is impossible to prove anything with that, but also because Marr do not specify any Time for that, so.... ). The thing I said about it ,is that is, if correctly interpreted, NOT in CONTRAST with what the ACARS show. but anyway it can only be considered a "one-thing-more" and not the core of the topic. you can see images of overlapping RGS and Chicago. "10:10 am ballinger sent an ACARS message to Flight 93"
again, even with this quotation or without it, the real matter are the FBI, NTSB and UAL documents; because logs show that messages were sent and received. and they also show which RGS sent them. and all these facts are totally poisonous for the 9/11CR. the real core-business of this case study is asking people to demonstrate, to comes out with an offcial paper that states, at least the last few ACARS messages, went wrong someway. I do think this is no way possible to demonstrate. but, I published this release of the ACARS Study, to "ask around". if no one can answer... well, the conclusion of the Study are correct! it cant be 50%. or A or B. no one can run away from it. these are official documents. and do not exhista another one that states that those are "wrong" or "mis-interpreted". what can I tell you is that I believe that no one discard this information with fault ( not the FBI, not the NTSB, not the Commission ). - since that morning, all the media were talking about the "fact" "ua93" crashed nearby Shanksville. - lots of media coerage on that. - FBI found a (an unknown ) black box at the field and they give it to NTSB to analyzed it. - all these docs were turned to the Commission too. 2°) UAL UA93 ACARS message s showing another time and place ( in the last messages ). "everything they told me, tells me that a plane crashes at 10:03 near by Shanksville, so - for exclusion - all the info ( and is only one source: the UAL ACARS ) that are in contrast with this "fact", can't be alse that wrong. and so they 'forgot' about ACARS message ). I believe this is pretty human. never the less, is wrong! we have no prove at all from the black box that that one was UA93 ( no serial number identification, for example ), but we are sure that the ACARS system needs tha unique ID code ( the aircraft registration code N591UA ) to allow communication in between aircraft and UAL ( rgs ). hope to have cleared your doubts. bambooboy on Tue, 03/02/2010 - 1:17pm. good news to see ya here on 911blogger ! So, that means that in an investigation, it is no possible to utilize the there listed "times", as 100% proofworthy. ACARS are proofs, BTS is not. something does not match! anthere is listed airport more!!!! 1) is BTS reliable to count upon? 2) how many UA93 were flying that day? How many BTS listed? 3) where UA93 flew the day before? bambooboy on Tue, 03/02/2010 - 3:24pm.